Small-group discounts p.p. : From 6% (3 persons ) to 19% (8 persons). For a walk from Vaison-la-Romaine click here. 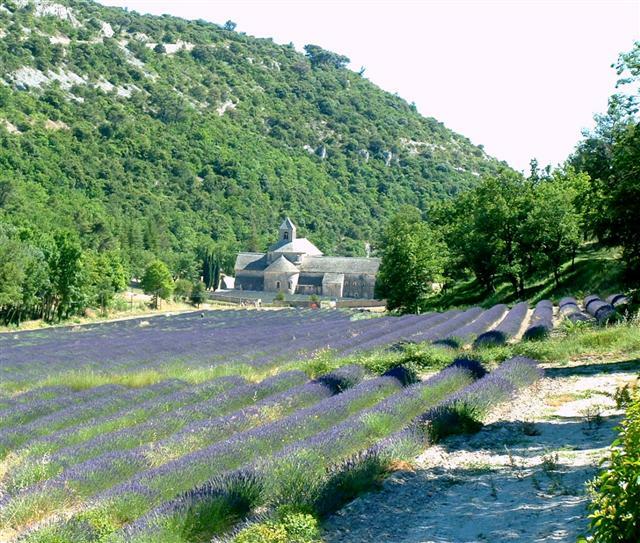 The Luberon is a unique regional park offering visitors an infinite variety of colourful and fragrant landscapes. 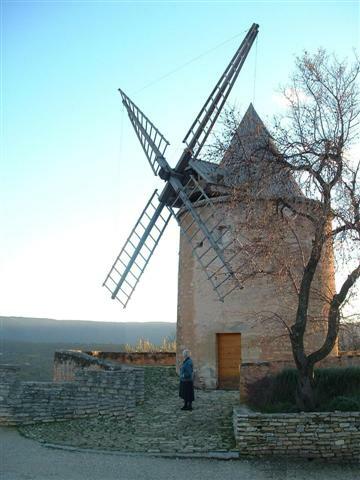 Part of Provence and yet separately identifiable due to the rolling hills and beautiful villages perch�s, it makes an excellent base for a holiday. 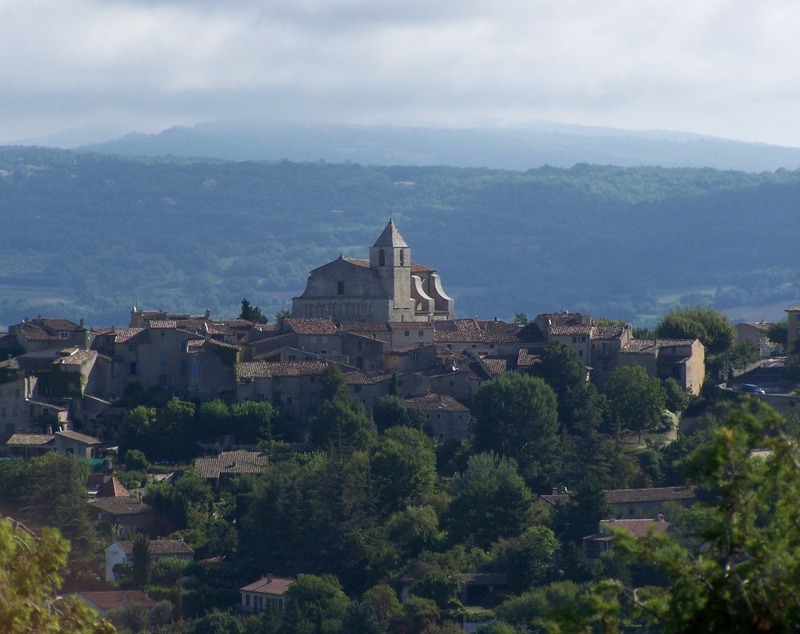 The Luberon is full of romantic villages (Saignon on picture right), dramatic ruins, deep gorges and pretty valleys – you will probably not want to venture beyond its boundaries! Any day of the week possible (March 25 - October 30) at the hotel in Avignon, l'Isle sur la Sorgue or Fontaine de Vaucluse. 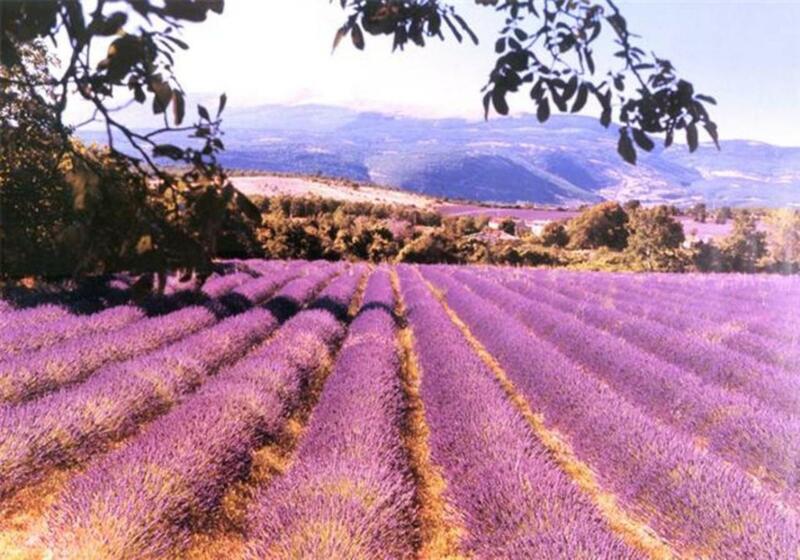 Many TGV from Paris, Lyon, Marseille and Toulouse directly to Avignon. From the railway station of Avignon Centre by train to Cavaillon and l'Isle-sur-la-Sorgue (departure every three hours). The ride takes about 30 minutes. From Avignon Centre to l'Isle-sur-la-Sorgue/Fontaine-de-Vaucluse (35 minutes). Situation : Paris 700km - Lyon 260km - Marseille 80km - Avignon Centre 19km - Avignon TGV 20km - Aix en Provence 50km. Situation : Paris 742km - Lyon 271km - Marseille 80km - Avignon Centre 26 km - Aix en Provence 50km.